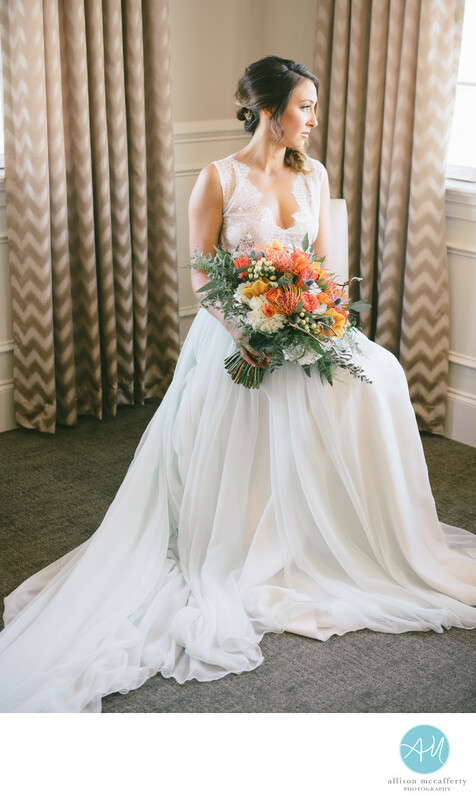 Seated in the newly renovated bridal suite at the Atlantic City Country Club, this bride was a piece of art. Her hand made gown was delicate and romantic and her amazing bouquet finished the look. Atlantic City Country Club's suite is the ideal location for wedding pictures and bridal portraits before you say, "I do!" Location: Atlantic City Country Club, 900 Shore Rd, Northfield, NJ 08225.